support for the upcoming ICC Women’s World T20 2018. Chanderpaul, who started playing for the Windies at 19 and served the region in several capacities including captain for 14 Tests and 16 ODIs, will join with other selected Ambassadors. 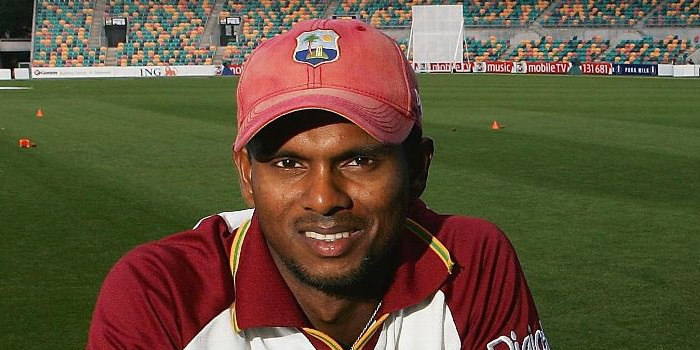 Chanderpaul will make a variety of appearances from September to November, an ICC media statement on Friday said. “I am also a huge fan of women’s cricket and I jumped at the opportunity. I have played cricket all over the world and I enjoyed every moment, especially meeting fans and entertaining the crowds,” he said. “This tournament is for the fans of the West Indies and I want to urge everyone to come out and #WatchThis. It will be a great few weeks of brilliant performances by some of the best women players to ever play the game. I’m delighted I will be part of it,” Chanderpaul said. “Our main aim is to support the women with filled stadiums across the region for the tournament, and the reach of the Ambassadors, we hope, will help us achieve that,” Jennifer added. The Providence Stadium in Guyana will host matches for warm-up and preliminary rounds from November 4 to 17. The ICC Women’s WT20, the first time it is being held as a stand-alone event this year, is scheduled for November 9 to 24 and will be held at the Providence Ground in Guyana, the Daren Sammy Stadium in St Lucia and the Sir Vivian Richards Stadium in Antigua.